One fruit “has a long ear, but never an eye,” another “doesn’t have ears, but does have eyes.” Second grade readers will surely enjoy solving the riddles and making the accompanying dishes. 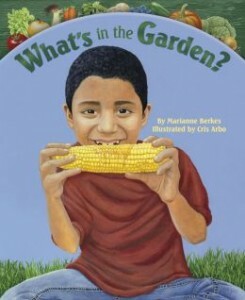 Title: What’s in the Garden? A delightful spin on a classic story, Prairie Chicken Little provides a fresh look at how panic starts on the wide open spaces of the grasslands when a nervous prairie chicken spreads rumor of a stampede. With no trees around, there are no acorns falling, but these animals fear a stampede more than the sky falling, so “a rumbling and a grumbling and a tumbling” is enough to cause quite a stir. When Mary McBlicken runs to tell her friends on the prairie about the imminent stampede, they are all aflutter until Cowboy Stan and Red Dog Dan come along to calm them down. This brightly illustrated book would fit nicely in a unit about different ecosystems of North America or a unit about wild animals. There are also several nice lessons about how prepositions like, “over,” “through,” “around,” and “down” guide our imagination and the storyline. Students may even write and illustrate their own colorful story told with a dozen different prepositions. To test the readers’ comprehension after reading this story aloud, students may describe the problem, what Mary wanted to do about it, and how it was finally resolved. With such a common story line, there are loads of extension activities for the classroom. For a generous collection of activities, visit http://www.myfreshplans.com/2010-09/chicken-little-lesson-plans/. This site offers activities for the language arts, science, character development, and critical thinking. It also links visitors to several audio versions of the classic tale of Chicken Little. 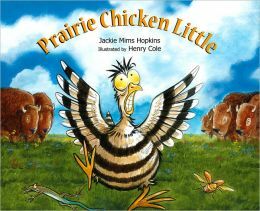 Many may easily be adapted to use with Prairie Chicken Little. After reading this updated story, students may also be encouraged to write their own twist on a different classic tale. Each little bug in this creative presentation has a fresh and intricate image and is identified by the noises it makes. The second grade reader will come away knowing exactly what field crickets look like and have a good idea what their “chirp”-ing sounds like. Colorful two-page spreads follow for tree crickets (reee-), mole crickets(dirt-dirt-dirt), click beetles (click), tiger moths (squeaka), dog-day cicadas (ZZZZ), bumble bees (zzzz), mosquitoes (mmmm), butterflies (…), true katydids (ch-ch-ch), bush katydids (tick-tick-tick zeezeezeezee), and grasshoppers (keraack). Last, the author brings all the sounds together in a vibrant chorus, decorated with sound waves. The illustrations are at least as important to this book as the words. Most children of this age have probably never stopped to take a close look at or listen to different types of bugs. The detail is unbelievable, with each tiny dirt fragment accounted for in the mole cricket drawing. The bat hunting the tiger moth is very genuine. Even the ear into which the mosquito flies is realistic. The “Listening to the Noisy Bugs” section provides a lot of possibilities for reading activities. For example, readers can go on the publisher’s website, www.dawnpub.com/our-books/noisy-bug-sing-along, and listen to real bug noises. Then, the reader can test herself by guessing what bug she’s listening to. In “About the Noisy Bugs,” the author shares more about each type of bug. For example, dog-day cicadas have hollow abdomens, like drums. They tighten and loosen the muscles there to make the ZZZZ sound. 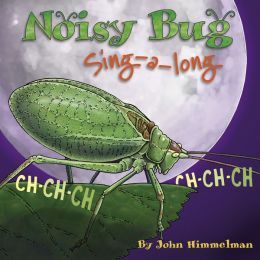 The author’s website, www.johnhimmelman.com, also has resources to use. Candlewick picture books never disappoint! 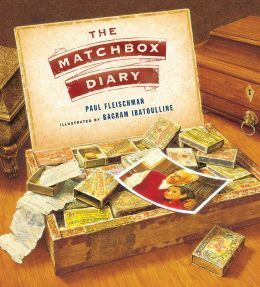 The Matchbox Diary, written by Paul Fleischman and illustrated by Bagram Ibatoulline, offers second grade readers and up a synergistic blend of old world charm and contemporary youthful innocence and curiosity through an immigration tale with illustrations that will appeal across generations. The Matchbox Diary reminds me of another classic picture book called One Thousand Tracings: Healing the Wounds of World War II written and illustrated by Lita Judge. Ibatoulline’s illustrations are so realistic they look like they could walk off the pages on which they are printed. Through his illustrations Ibatoulline not only captures the heart of the relationship between the little girl and her great grandfather in present day, but he also conveys the challenges and hardships that most immigrants faced when leaving their home country to enter a new one. Each spread consists of an illustration of the object on one side and on the other side is an illustration of an old photo that tells the story behind the object. Fleischman utilizes a diary of objects versus a writing journal since his young protagonist (great grandfather) can not read or write in English or Italian when he first arrives into the United States. Because he wants to remember every detail of his journey, he collects small objects that represent his experiences and places them in a matchbox for safe-keeping and sharing with future generations. Fleischman got the idea for The Matchbox Diary from New Hampshire artist, Gary Hamel who exhibited a matchbox diary of a recent trip he had made to Italy. Fleischman was so intrigued by the idea, he got Hamel’s blessing to borrow and reinvent his matchbox concept. I see endless uses for The Matchbox Diary in the classroom where second grade teachers and up can tap into core subjects like language arts using this book as an aid. Parents and grandparents can use this book to open up a dialogue on their own immigration story. We all come from somewhere, right? 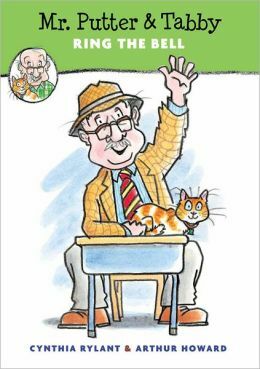 This book is about an old man, Mr. Putter, and his cat, Tabby. They are great companions and do everything together. They especially like eating their next door neighbor, Mrs. Teaberry’s, rhubarb trifle, along with her dog, Zeke. One day, while enjoying fall activities, Mr. Putter hears the ring of a school bell and decides that he misses school, pencils, and books. He decides to go back to school just for a day. He asks the first grade teacher at school if he can come to show and tell with Mrs. Teaberry, Tabby, and Zeke. The teacher tells Mr. Putter that her class loves animals and she is led to believe that both Mr. Putter’s cat and Mrs. Teaberry’s dog, Zeke, can do tricks. The story continues with lots of funny antics that second graders will love! Students will love the illustrations depicting the moods of the animals and characters in the book, along with their funny behavior. What a great story for teachers to use as a read aloud for second graders at the beginning of the year to introduce show and tell time to the class! It would also be a great book to introduce new readers to chapter book formats. This book is written by Cynthia Rylant and is one of numerous in a series of Mr. Putter and Tabby books. The author also writes the popular Henry and Mudge books that most young readers are familiar with and love. The illustrator is Arthur Howard, who also illustrates the rest of the Mr. Putter and Tabby books.